The sequel to the (technically) Oscar-winning DC movie has found its director. Per THR, Warner Bros. and DC have selected Gavin O’Connor, who previously directed The Accountant, an action-thriller that was basically A Beautiful Mind meets Jason Bourne. This comes after a long search for a director, with original film director David Ayer apparently still working on Gotham City Sirens, a spin-off starring Harley Quinn, Poison Ivy, Catwoman and other DC villainesses. Originally, the studio courted Mel Gibson to direct, but we pretty much knew that was never going to happen. WB came close to securing Jaume Collet-Serra (The Shallows), but the director opted out in favor of working on Disney’s Jungle Cruise, starring Dwayne Johnson. O’Connor’s The Accountant starred Ben Affleck as a pseudo-vigilante with fighting prowess, and J.K. Simmons as a law enforcement official—as our review put it, the film was basically “Batman practice.” Perhaps the studio saw that film as a decent audition tape. No word on which characters or cast members will appear, or even when the film will begin production and release. With Margot Robbie not only apparently doing both Gotham City Sirens and appearing in one of two solo Joker movies with Jared Leto, and Will Smith beginning work on the live-action Aladdin, the key players of Task Force X are looking quite busy. Seeing how WB and DC have this, a Batman solo movie, Gotham City Sirens, a Joker/Harley Quinn movie, another Joker movie, a Batgirl movie and a Nightwing movie in the works, along with a Flash movie that has already lost two directors, we’ll consider it to be a miracle if this production ever gets off the ground in one piece. 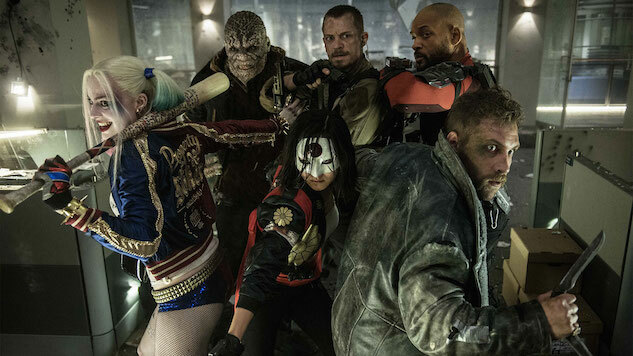 Check out our review of the first Suicide Squad right here.